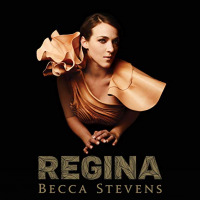 There is an artistic point where Jacqui Sutton (Billie & Dolly (Toy Blue Typewriter Productions, 2010)), Gretchen Parlato (The Lost and Found (ObliqSound, 2011)) and Norah Jones (Feels Like Home (Blue Note Records, 2004)) intersect, giving rise to Becca Stevens, whose creative arc gains traction in a direction different from, but informed by, those singers. By combining Parlato's coquettish, diaphanous singing style, Sutton's rootsy, organic acoustic approach and Jones' tuneful composing, Stevens charts a course all her own in a spirited new direction. 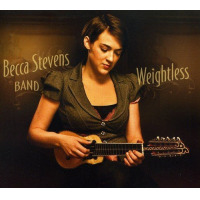 The Becca Stevens Band is a quartet capable of generating both heat and light when the instruments couple with the vocals, Liam Robinson and Chris Tordini having principle parts. This quartet is supplemented with guitarist Larry Campbell on several tracks and Parlato on the lullaby "No More." The title song merges all the singing voices in provocative counterpoint that recalls Phish's "Bouncing Around the Room" crossed with The Doobie Brothers' "Black Water," except Stevens and her band give a thoroughly updated vocal treatment compared to those older songs. Jordan Perlson's muscular drumming juxtaposes itself anxiously with the soft delivery of the singer's delicate melody. Stevens extends this melodious contrapuntal singing to its limit in the very Norah Jones-like "There is a Light That Never Goes Out." Stevens' voice square dances with those of Robinson and Tordini. The single cover on the disc, Seal's "Kiss from a Rose," is perhaps the greatest success of the recital, completely re-harmonized and presented organically. This ranks as one of the most inventive and inspired covers of a modern popular song. Stevens emerges at an exciting time in jazz vocal music when boundaries are being pushed, reset, and pushed again. Her organic style is exciting and innovative, made even more so by her groundbreaking singing. Track Listing: Weightless; I'll Notice; There is a Light that Never Goes Out; Traveller's Blessing; The Riddle; Kiss from a Rose; How to Love; Canyon Dust; My Girls; No More; You Can Fight; Each Coming Night. Personnel: ecca Stevens: vocals, guitar, ukulele, charango; Liam Robinson: accordion, piano, harmonium, chamberlin, vocals; Chris Tordini: bass, vocals; Jordan Perlson: drums, percussion; Gretchen Parlato: vocals (10); Larry Campbell: guitar, cittem (2, 4-6,11).